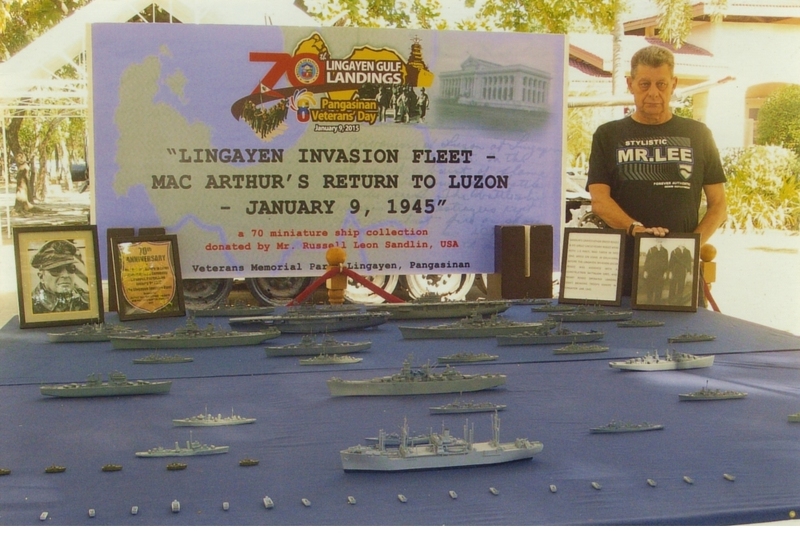 70th Anniversary Commemoration of MacArthur's return to Luzon at Lingayen, Province of Pangasinan, Philippines. The event took place at MacArthur's Memorial Park with a Ceremony and Banquet. Honored the memory of Russell Sandlin's grandfather "Oscar Rogez", and Oscar's brother, great uncle "Henry Rogez", who participated in that invasion on January 9th 1945. 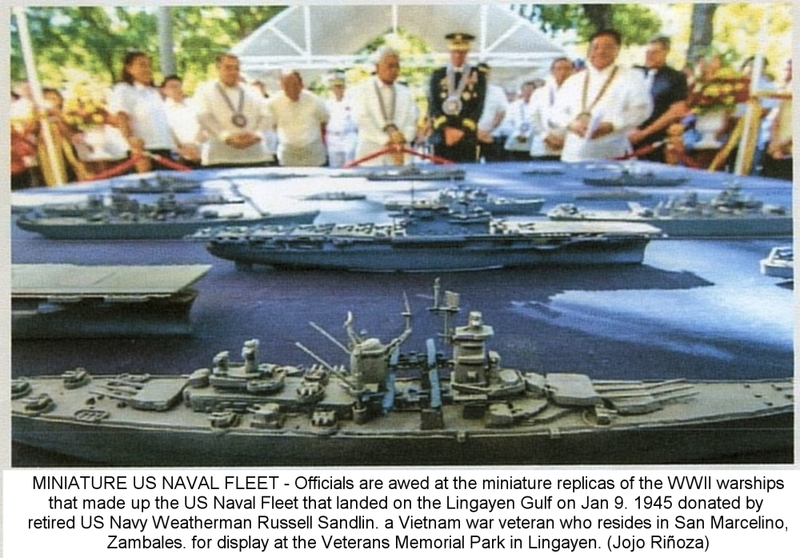 As part of the ceremony, 70 ship models were oficially donated, exhibited on October 20th 2014 at Magellan's Museum, to the MacArthur's Memorial Park. The Governor of Pangasinan received the donation and presented Mr. Sandlin with a letter of acceptance. 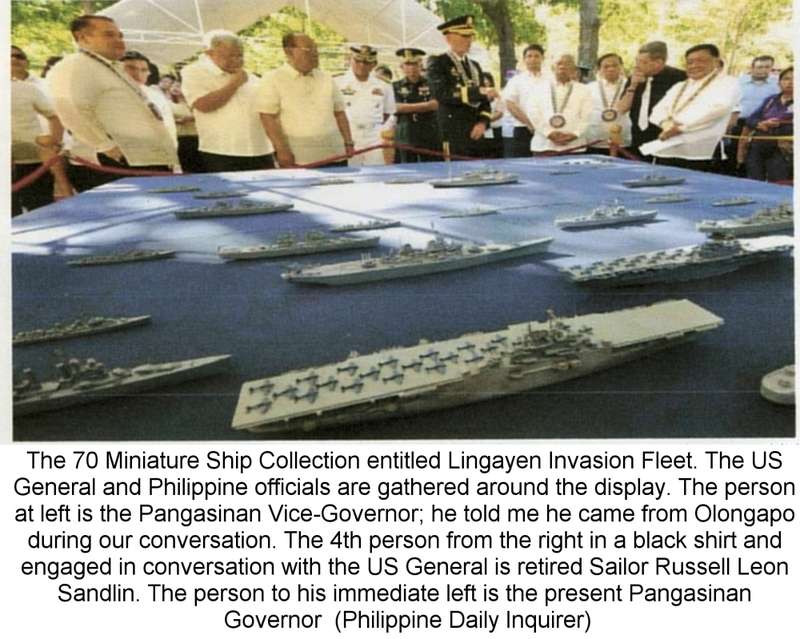 A copy of the DVD "Victory at Sea, Return to the Philippines" was presented . The video was shown on Big Screen to all attending the Banquet. 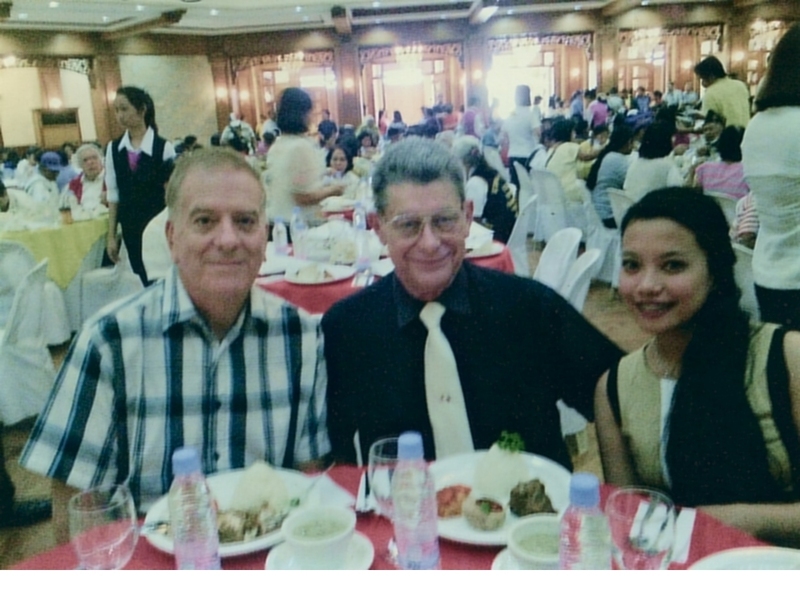 The story was covered by ABS-CBN Channel 2, GMA 7, as well as the Manila Bulletin and the Philippine Daily Inquirer newspapers.